An interesting cloud formation I spotted from the track from Machir Bay to Kilchiaran. Reminds me of waves breaking in the sea, seen from the side. 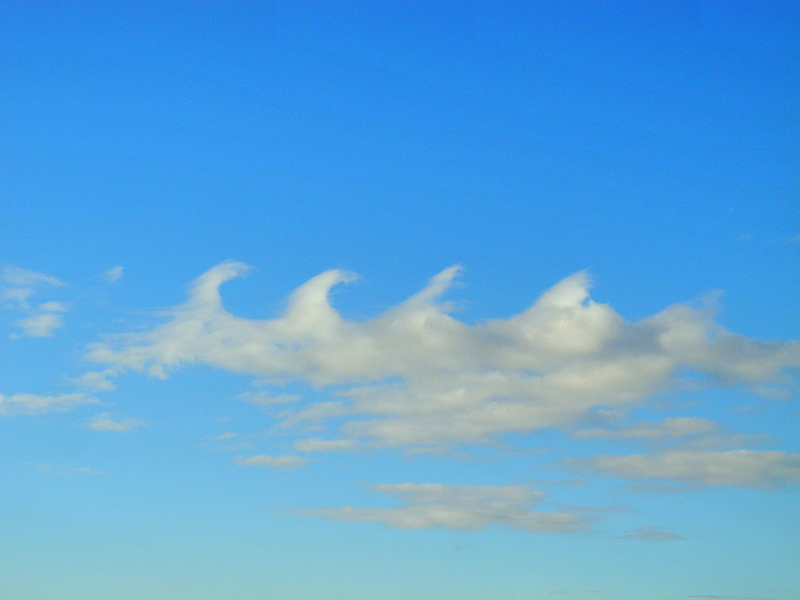 Update: As per the comment below, I now believe this is an example of Kelvin–Helmholtz waves/instability, a relatively rare phenomenon. This entry was posted in Cloudy Weather, New Post, Sunny Weather and tagged Islay, Kilchiaran, Machir Bay by Armin Grewe. Bookmark the permalink. Maybe worth sending to the Cloud Appreciation Society!! Oh, thanks Jo, had no idea what might have been behind it and that there is even a name for it. But the description sounds about right, they were only there for a short time.